I am excited as always to bring you all a Fashion Friday post! I have been holding on to this palm tree print jumpsuit (similar) since July. I cannot believe I have been sitting on this amazing jumpsuit. I actually had plans to wear it to TCF and ended up over packing. The palm tree print signified Summer and in my case signifies the end of Summer. I have been patiently waiting to wear this jumpsuit (similar) and the time is now. This jumpsuit features some of this Summer’s hottest trends. 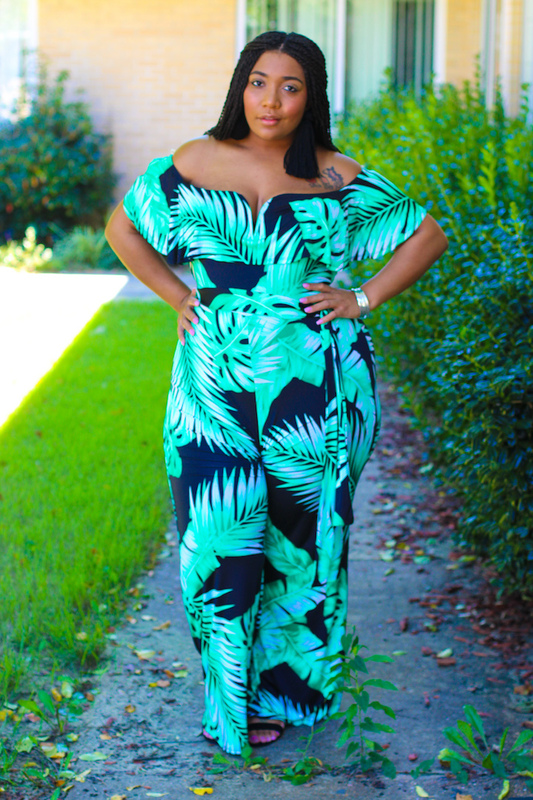 This jumpsuit has off the shoulders, of course the palm tree print, and wide legs! It is a dream! Styling this palm tree print jumpsuit (similar) was a total breeze. I am absolutely in love with my shoulder length tassel earrings. 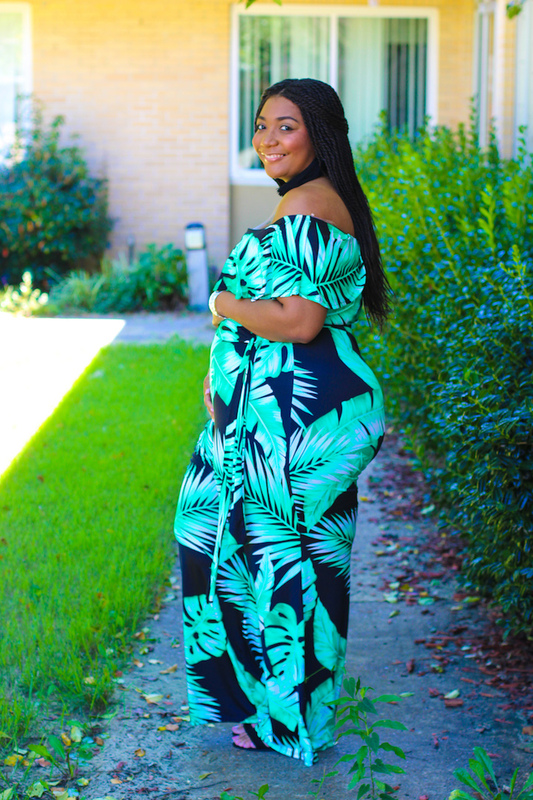 They were perfect with this off the shoulder jumpsuit. I added my black low heel sandals. This outfit was super easy! 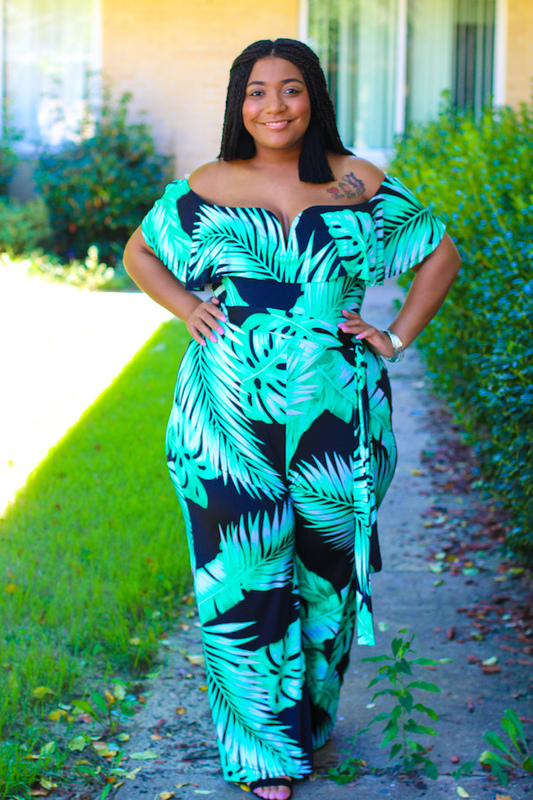 Style Notes: I am wearing a size 3x in this palm tree print jumpsuit (similar), I sized up and this jumpsuit fits perfect in the hips but the top is too big. My black low block heels are true to size in a 10. Bee, you look nice. It would have been great to actually post an outfit that people can actually buy rather than several months later and no link to it with a similar option that doesn’t even come close. Shouldn’t blogging be a way to also help others redefine their style? Unfortunelately, timing was not on my side with posting this outfit. This jumpsuit has been sold out for months so I was unable to link the actual jumpsuit. 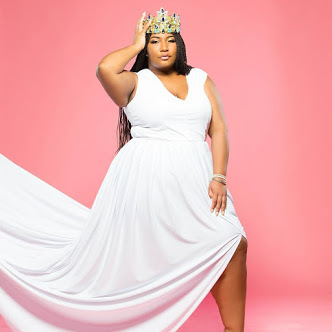 If you would like to redine your style feel free to email me at curvaceouslybee@gmail.com. Thanks for voicing you opinion.